Guest author Stephen Moyers is an online marketer, designer, and tech-savvy blogger. Associated with Los Angeles-based SPINX Digital Agency, he writes about online marketing, web design, development, social media marketing and more. If you’ve recently launched a startup, you know your brand needs as much exposure as possible. When you don’t have much capital to work with, however, you may require a more cost-effective strategy. Luckily, digital marketing is highly scalable. You can start working on effective, goal-producing activities right now, and build on your strategy as you get more resources. The more people who recognize your brand from a distinctive logo, voice, and design, the better your chances are of getting content in front of them and driving conversions. Products and services evolve naturally the longer a company stays around, but a recognizable brand is like an insurance policy for your business goals. Don’t think you’ll get away with a catchy yet vague slogan like Visa’s “It’s everywhere you want to be” and create brand value. You haven’t gained enough market penetration. Startups have to use explanatory and emotional cues in their messaging to build awareness and trust. Yet today’s startups have more power than ever to create brand awareness and value without spending money. Even young individuals on social media can create an impactful brand that resonates with followers. Popular YouTube stars Jenna Marbles and PewDiePie both make more than many actors and actresses, and it all started with a free YouTube channel. The key is finding where your target audience spends time and using those platforms to emotionally connect. Every piece of content, including tweets, infographics, and short- and longform video, has the potential to resonate with your audience in a meaningful way. Having a social impact also increases the likelihood that current customers who believe in your product offering will recommend your product to friends and colleagues. You don’t need to invest millions into marketing as a startup. Take Zillow. It’s now a public company that does spend millions on TV ads and more. But when it first started, it didn’t spend anything on marketing. Its website was its product, and optimizing it at every level ensured the site acted as its own marketing. Email, search-engine optimization, content development, and PR don’t have to cost much money in the beginning. Websites are at the core of digital marketing. Without one, you have nowhere to direct inbound marketing activities. Your page will serve as a data repository you can tap to gauge success, and it’s also the only place online that’s completely yours to create. Find ways to add value through your website to encourage traffic. For example, Dropbox used free extra storage as a promotion for referrals, and Pinterest used an “invitation only” tactic to create an image of exclusivity before making the site available to anyone. Each tactic added value without costing the company much upfront. In addition to traffic-driving tactics, update your website for visibility on search engines. These boring maintenance tasks will continually boost your visibility and become a source of value for inbound visitors. Find out where your audience spends its time. Are they younger folks who prefer to Snapchat, Instagram, and Yik Yak—or are they an older generation who’s more comfortable with Facebook and Twitter? You can always buy your way to prominence on social platforms. But companies that really succeed in social media use these channels as a natural extension of other marketing activities. Social media is a forum for natural engagement that builds credibility, not revenue generation. Consider how Dollar Shave Club used YouTube and companies like Red Bull and Oreo used hashtag campaigns to generate conversations. 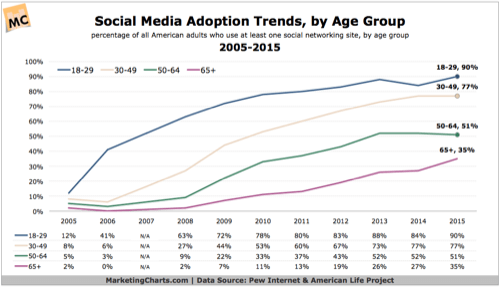 People of every age use social media, making it a fantastic forum for startups to tap into—you just have to figure out where your users are hanging out. Every entrepreneur has to become a brand champion, and every business owner needs to get the word out. Grassroots marketing is effective because it allows you to leverage personal relationships for the benefit of the business, and almost every company uses it in some form. Get on social media, call up friends and old schoolmates, go to LinkedIn and take advantage of those professional connections, and ask your family to get in on it. Request that everyone do something to promote the brand, whether that’s reviewing the product on a third-party site, sharing content on social media, or mentioning your company online. Every extra link your network puts out has the potential to reach hundreds more people than you could on your own. Content is the bread and butter of the digital marketing world. Whether you use slideshows, quizzes, surveys, blogs, videos, articles, or infographics, take the time to make each piece of content feel like an extension of the company. Think about what types of content other successful companies have used. Although Target is a large company, for instance, its recent holiday marketing campaign told a story across digital and traditional platforms to inspire an emotional connection and engagement. Startups can do the same thing on a smaller scale to generate brand awareness. Part of the beauty of digital marketing is the ability for brands to create a personal connection with consumers. Companies are living, breathing organisms that consumers care about. Brands such as Google, Lego, and Uber all outperform their competitors because they make a personal connection with their audiences. Companies that win at engagement have created an emotional connection.  They respond to feedback quickly and publicly. They understand what their target audience finds valuable. Startups can mimic these larger successes with fast responsivity and by sharing in consumer experiences online. Since many startups focus on providing app-centric services, earning visibility in Apple and Google’s app stores will yield the best marketing results. Make sure users looking for products like yours can find your app. There are more than 1,600,000 apps in Google Play and more than 1,500,000 in the Apple App Store. Spend time on app-store optimization, including keywords, icon graphics, and descriptions and screenshots to encourage users to download. Email still offers a lot of bang for your buck. Most online consumers check their email many times a day, and many use a mobile device to do so. E-commerce companies, in particular, invest in email marketing over every other type of marketing activity—and they’re smart to do so. On a small budget, you can find an email marketing platform that allows you to create, send, and monitor responses to your campaigns. Add a subscription form to your website, and start building up your consumer contact base. Send out regular newsletters with the last few blog links or highlight promotions. The world is your oyster. You can go social all the way or you can focus on using data to carefully market to a niche looking for more than a snippet of information. However, every business is different. Try out a few tactics and measure the results to see what works for you. If you can only spend money on one digital marketing front, invest it in your website. The rest you can DIY until you hit the big time.